So in case you missed it, we released our first free wallpaper for devices last week! It was an abstract watercolor drawing. For a while, I’ve been wanting trying to figure out a way to share my creations with you and a cool way of getting my artwork out there. And I thought why not wallpapers? PLUS! Who doesn’t LOVE free artwork for their devices? I KNOW I DO! So hence we created FREEBIE FRIDAY/SATURDAY? 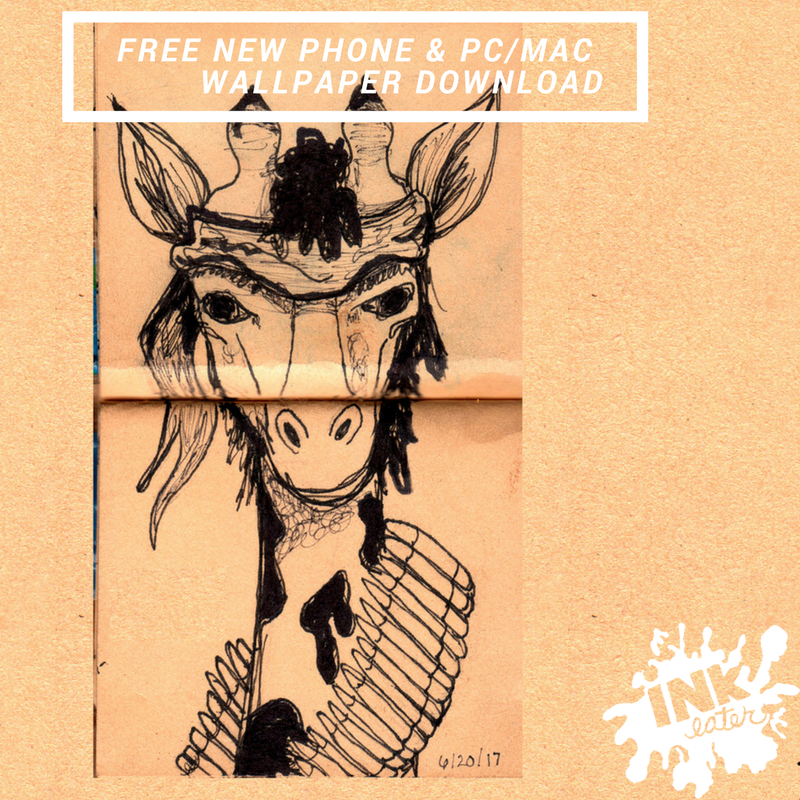 This week’s freebie Rambo Giraffe Phone & PC/MAC Wallpaper!